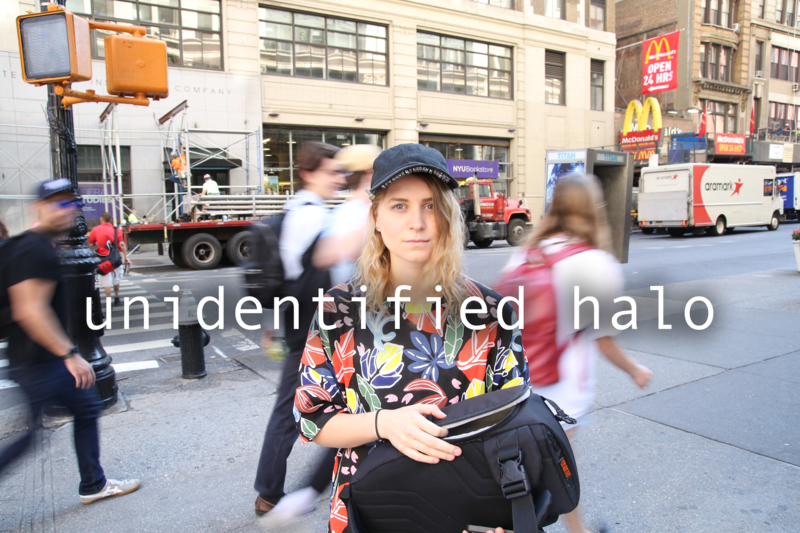 Unidentified halo: A wearable that thwarts facial detection. Unidentified halo is a wearable hat that responds to widespread surveillance culture and a lack of biometric privacy in public spaces. 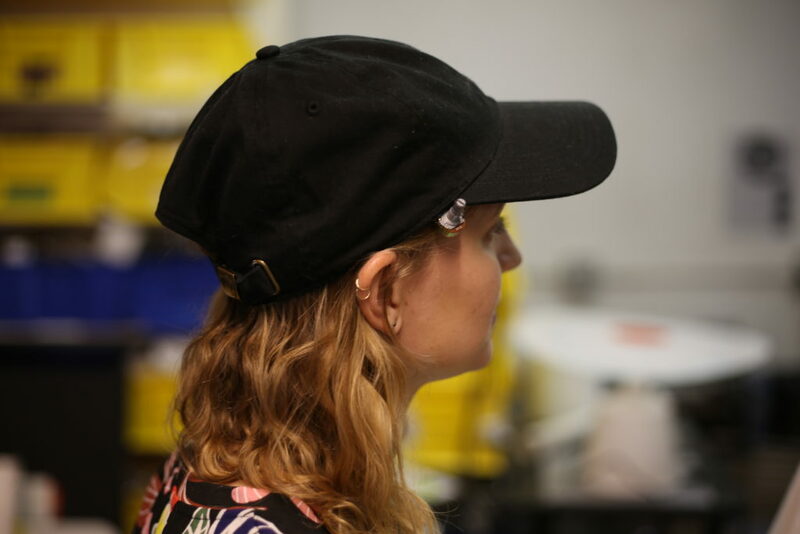 The hat is intended to shield the wearer from facial detection on surveillance cameras by creating a halo of infrared light around the face. As recently as last week, new information has emerged suggesting that as many as half of all Americans are already included in a massive database of faces. Government reports have long confirmed that millions of images of citizens are collected and stored in federal face recognition databases. Police departments across the country use facial recognition technology for predictive policing. One major problem with these systems is that some facial recognition algorithms have been shown to misidentify black people at unusually high rates. There is also the problem of misidentifying a criminal – and how such mistakes can have disastrous consequences. Shir David and I worked together on this project. We saw this piece as not only a fashion statement, but also an anti-surveillance tool that could be worn by anyone on the street who is concerned about protecting their privacy. Since the human eye can’t see infrared light, the hat doesn’t draw any attention to the wearer. 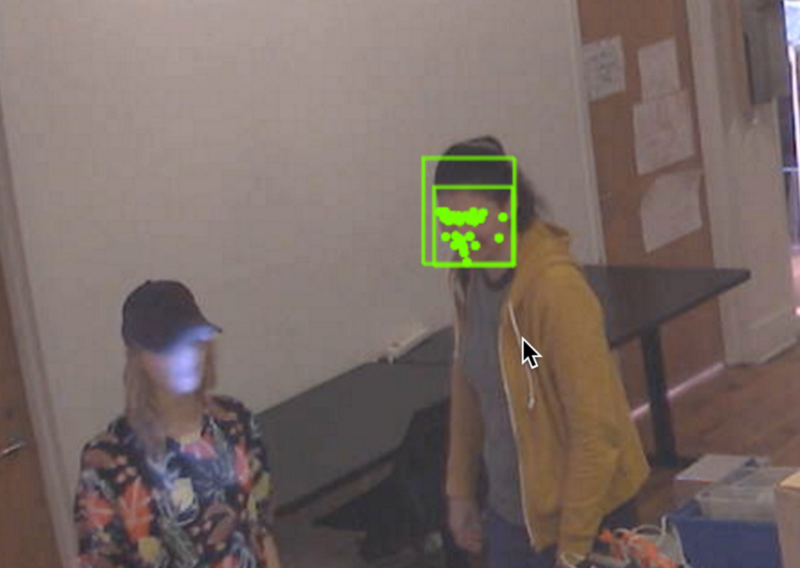 In the image above, the surveillance camera “sees” a halo of light around my face, preventing Google’s Cloud Vision platform from detecting a face. When we ran the images through Google’s API, it not only detected Shir’s face but even offered suggestions of her emotion based on facial indicators. My face, on the other hand, went undetected. The project began as a subversive “kit” of wearable items that would allow the wearer to prevent their biometric data from being collected. Shir and I were both frustrated with both the ubiquity and the invisibility of the mechanisms of biopower, from surveillance cameras on streets to fingerprint scanners at the airport. We discussed the idea further with several engineers at NYU and they suggested that if we were interested in pursuing the idea further, we should construct a hat that shines infrared light on the user’s face. We all agreed that the hat shouldn’t require technical know-how and the battery could be easily recharged. 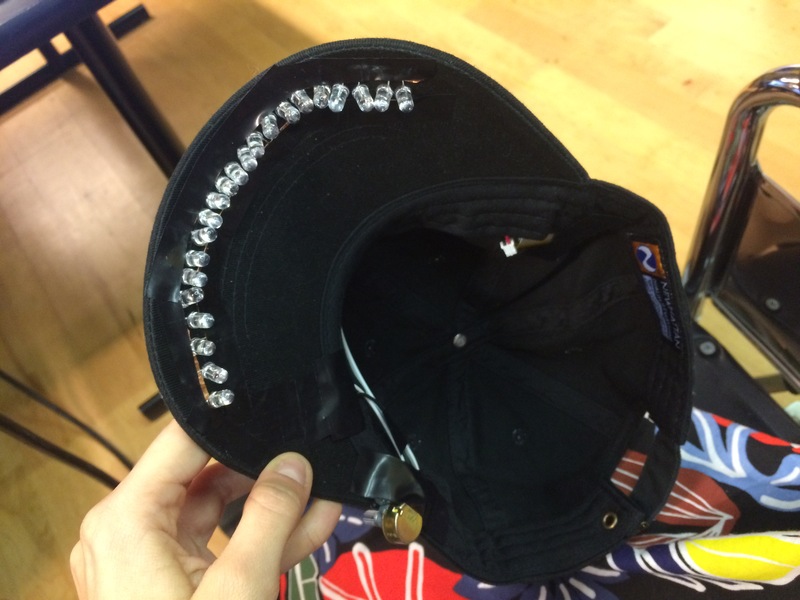 To do this, we soldered together 22 IR LEDs that are powered by a rechargeable 500mAH lithium battery and monitored by a potentiometer, and then adhered the circuit to a baseball cap. 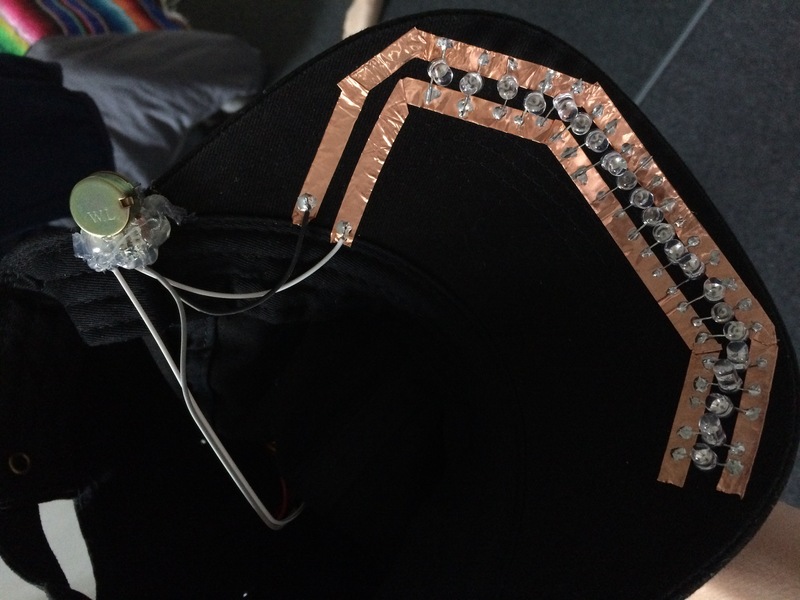 The LEDs are wired along the bill of the hat and the battery is tucked into the rim. In future versions of the project, we think we would move the LEDs further down the bill of the hat so that it’s closer to the face. We also would ensure that the lithium battery is safely wrapped in a plastic enclosure so that there’s no way it could be accidentally punctured. And, of course, we would sew everything together to improve the appearance of the hat. 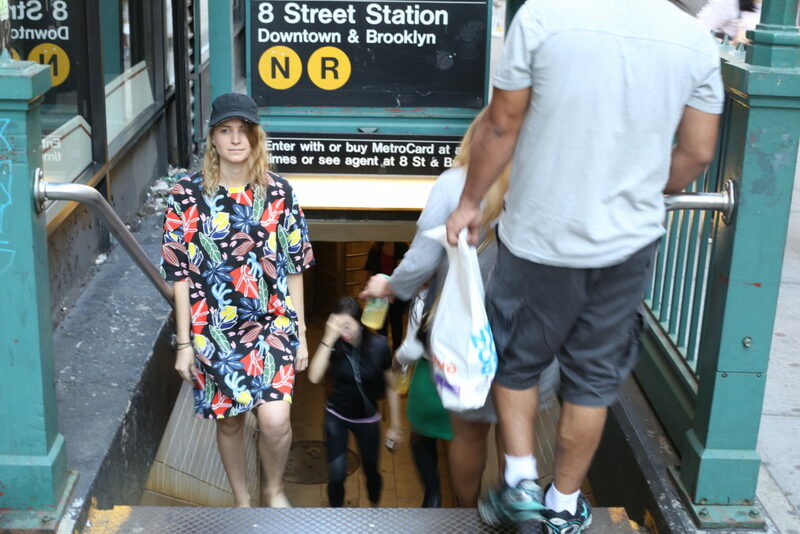 We also need to address why the infrared light appears on some IP surveillance cameras but not others – and what kinds of cameras are in use on subway platforms or street corners, for example. Of course, this project fails to address the ubiquity of iPhone cameras, which don’t pick up infrared light and have extremely advanced facial recognition algorithms. These questions will inform the next iteration of the wearable. Previous Previous post: Is this you? Is this them? The algorithmic gaze, again. Next Next post: Algorithmic gaze: Automating our decision-making capabilities.